At this year’s Worldwide Developer Conference, Apple said its next-generation Mac operating system, OS X 10.8, would ship in July. Ever since, developers have been anxiously awaiting the release of Mountain Lion Golden Master, a necessary leveling step before the operating system rewrite goes on sale to the public on or about Wednesday, July 25. Code monkeys, it is time to log into your Mac Dev Center account and get busy with downloading OS X Mountain Lion Golden Master, available in creamy (client) and extra chunky (server) flavors. Tipping the scales at 4.35GB, the GM is a full install of the operating system, so be sure to back up your stuff before installing. In a nutshell, Mountain Lion Golden Master is the final, finished version of the operating system and Apple’s giving developers one last pass to work out the bugs. That said, Mountain Lion has been feature complete since the beginning of June when the company added Facebook integration. Additionally, Apple has delivered Xcode 4.4 Golden Master — if you developing for Mountain Lion and/or iOS 6.1, due this Fall, then you must get the new version of the company’s toolset for Mac, iPhone, and iPad. Lastly, Apple has also shipped a fresh beta of OS X 10.7.5 Lion, an upcoming maintenance update for last year’s big Mac operating system release. 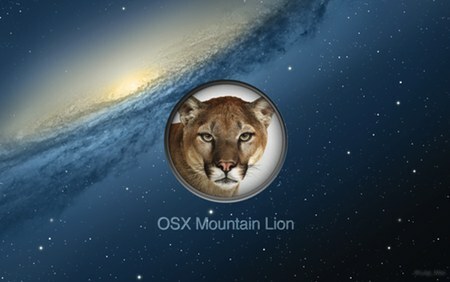 If past is prologue, then OS X 10.7.5 will ship alongside or within days of Mountain Lion.